SAN DIEGO (July 8, 2015) Lil Trunks debuts for Spring/Summer ‘16 with delightful fashions for girls and boys sizes 3 months to 6X at the August ENK Children’s Club show booth 6451. Each season the collection will take shoppers on a fun ride through a kaleidoscope of bright colors and bold patterns—all designed to elicit giggles and grins. For spring, the custom prints reflect influences that travel the globe. The silhouettes, which include both wovens and knits, feature timeless favorites like bubbles, A-line dresses, polo rompers, tunics and shift dresses. RED BANK, N.J. (June 22, 2015)—The Kissy Kissy Spring/Summer 2016 collection is the perfect companion for wherever families may frolic, romp or roam. Whether their trips take them across the sea, over the sand, on the road or across town to grandma’s, the company offers a delightful mix of whimsical prints and sweet themes to match these warm weather adventures as well as a menagerie of fun-loving animals. The Peruvian Pima cotton collection spans sizes preemie through 6. The girls clothing collection proves that looking good is no sweat with new seamless product and a higher fashion quotient. CALGARY, Alberta, Canada (February 9, 2015) Limeapple Sport by Girl & Company believes that healthy equals happy so the brand is expanding its performance activewear selection with new seamless product. Seamless Dynamics is perfect alone or layered with the brand’s fashion activewear, which is even more stylish and feminine this season. 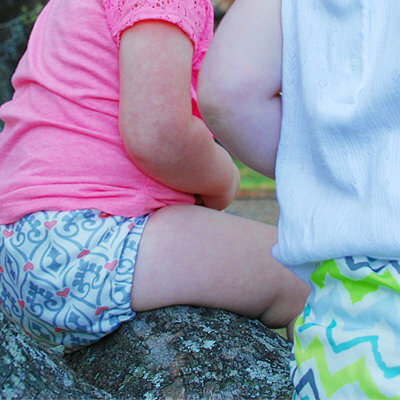 The tween clothing collection welcomes little sisters with Little Lime in sizes 12 months to 6X. CALGARY, Alberta, Canada (January 23, 2015) Limeapple Boutique (formerly known as Girl & Company) takes its “cute to the core” aesthetic down to little sisters with Little Lime. And the apple doesn’t fall far from the tree. The new collection, offered in sizes 12 months to 6X, coordinates back to the big girls with complementary bodies, colors and themes. The Peruvian Pima cotton clothing brand seeks to captivate shoppers with a near-endless array of prints, colors and styles. RED BANK, N.J. (January 19, 2015)—Kissy Kissy’s Fall/Winter 2015 collection showcases the brand’s range with a collection spanning whimsical to sophisticated. The Peruvian pima cotton clothing brand uses an imaginative mix of colors, prints, accents and fabrics to create a line as diverse as the moms, grandmas and gift-givers who love it. The Sili Squeeze™ is the original reusable squeeze pouch with both a spill-proof and free flowing spout. Perfect for all your homemade baby food and smoothie recipes, healthful purees, and those ready made favorites like yogurt and applesauce. Beloved baby clothing and accessories brand Kissy Kissy announces the launch of Kissy Cares, a charitable program designed to support moms and babies. Through Kissy Cares, Kissy Kissy will donate clothing and fabric to causes that aid children in need or support mothers through healthcare and skills training. Kissy Cares was born out of the belief that all moms have the same hopes and dreams for their children, which start with love, security and life’s sweet necessities.